This post is in continuation with web service tutorial (Part -10). 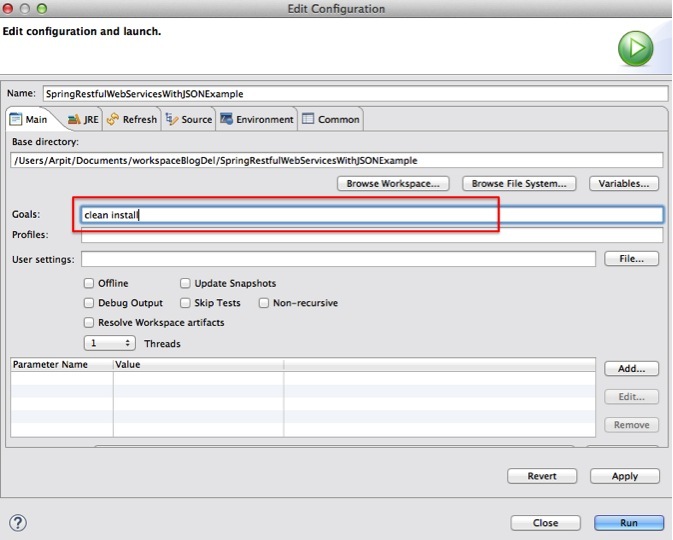 In this tutorial,we are going to see Spring Restful web services xml example. In previous post, we have created a very simple Spring Restful web services which returns json. 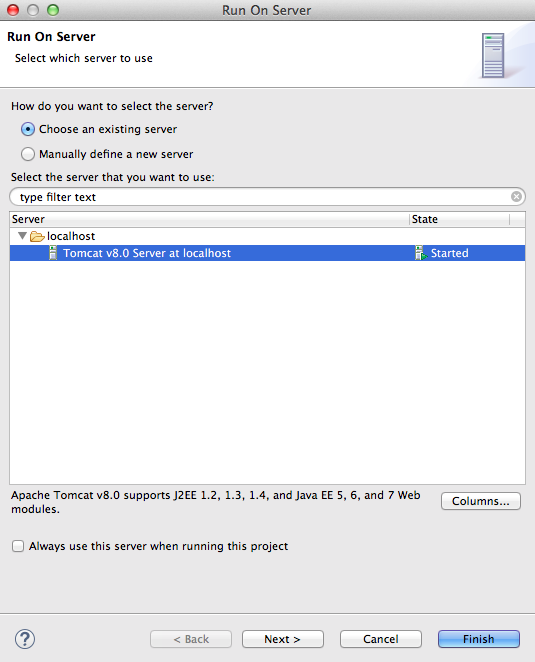 In this post, we will see Spring Restful web services which will return xml as example. Here are steps to create a simple Spring Restful web services which will return xml. 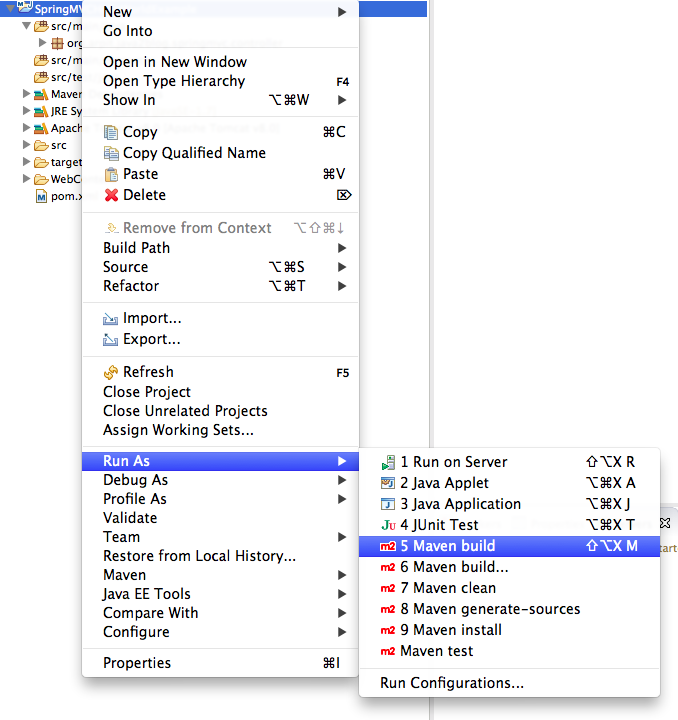 2) For XML support, we just need to make sure JAXB jar is available in classpath. JAXB annotation but if you want to have support for list, we can not edit ArrayList class, so we can create another class called CountryList and we can annotate with JAXB annotation in that class to support xml output. /// Utiliy method to create country list. @PathVariable: Used to inject values from the URL into a method parameter.This way you inject id in getCountryById method . 9) Test your REST service under: “http://localhost:8080/SpringRestfulWebServicesWithXMLExample/countries”. 10) Now pass country id as a parameter to url. We are done with Spring Restful web services xml example. If you are still facing any issue, please comment. 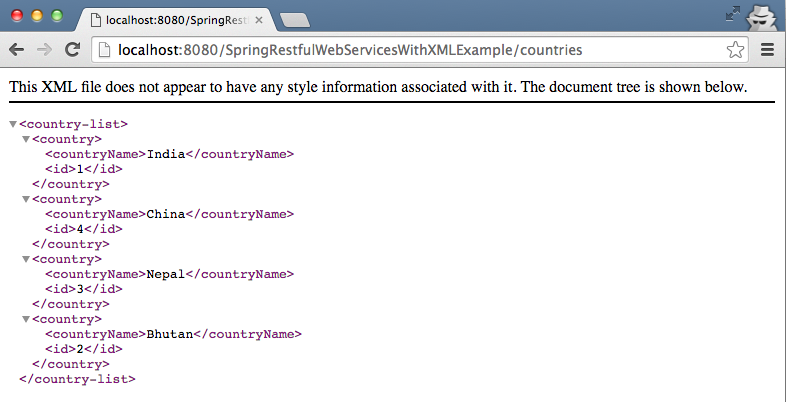 That’s all about Spring Restful web services xml example.